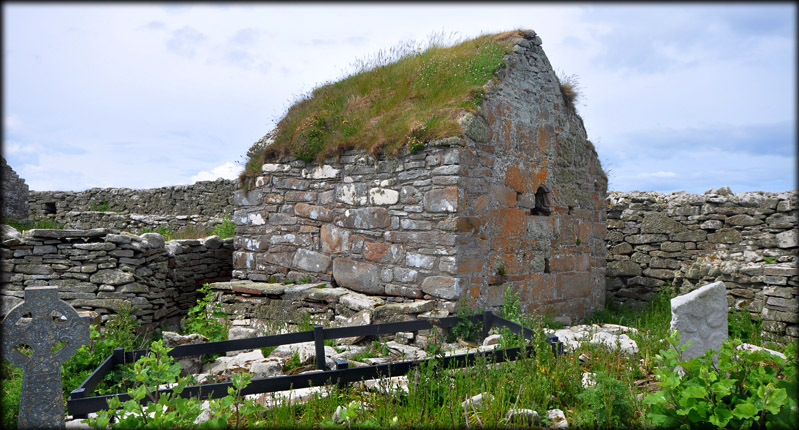 This small oratory is probably the tomb shrine of the Island's patron saint and was the main focus of the pilgrimage to Inishmurray. The building dates to the 8th/9th century and is under 3 metres in length. The original roof may have been wooden or thatched. The north and south walls have been rebuilt at some stage and the grass clad stone roof was probably added at this time. There is a doorway in the western wall and a small window in the east gable. The lintel above the doorway bears an inscribed Greek cross. Along the exterior of the southern wall is a wall bench. There is a high stone altar at the eastern end of the oratory below the window. 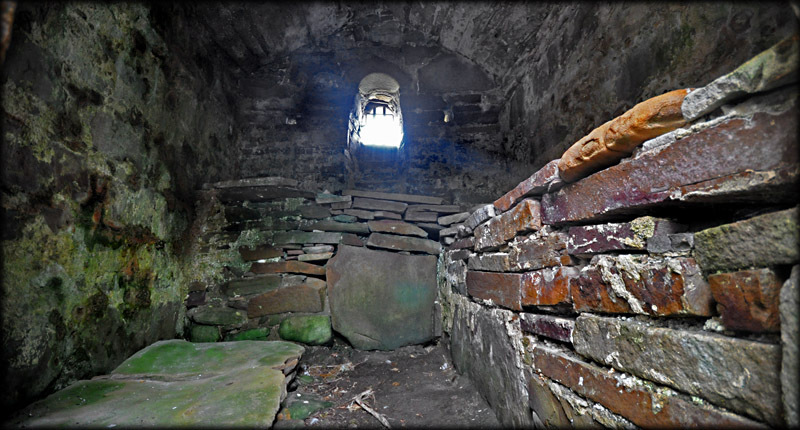 In the late19th century a small cist like hollow was found within the altar. 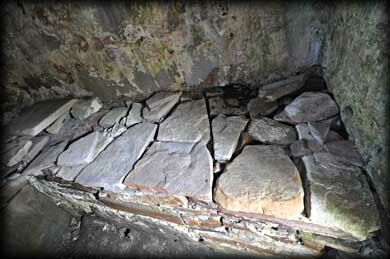 Another wall bench extends the full length of the interior south wall - this is known as Leaba Molaise-St Molaise's Bed. It has been suggested that the shrine chapel might possibly mark the burial place of St Molaise, we do know that the oratory did house the secondary relics of the saint. A crozier and an iron bell which were venerated as relics of the saint were removed from here to Alnwick Castle by the Duke of Northumberland. An oak 13th/14th century statue traditionally believed to represent St Molaise was removed from the Altar in 1949 and is now housed in the National Museum at Collins Barracks. Situated: The oratory is situated in the northern sector of the Cashel. Discovery Map 16: G 5736 5388. Last visit June 2012.